NetMotion Software, a leading provider of Mobile Performance Management (MPM) software solutions, today announced Bridgeway Security Solutions as a new channel partner. 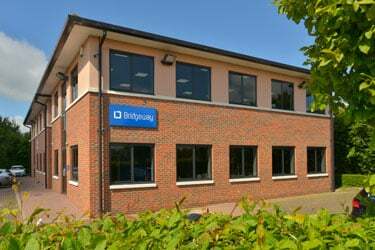 Bridgeway is a consultative information security specialist, with significant expertise and experience in mobility. Bridgeway will help support NetMotion’s UK growth drive, particularly across the public sector and blue light services. NetMotion allows organisations to better understand the efficiencies of their mobile workforce. By enabling mobile organisations to stay connected, resolve connectivity issues in real-time and identify potential problems before they arise, NetMotion is empowering organisations and driving efficiencies. Using a consultative approach, Bridgeway helps forward-thinking enterprise-class organisations who need to derive competitive advantages from emerging technologies and want to do so securely. Its customer base is wide and varied, including a strong presence in NHS, central government, local government and blue-light organisations, as well as countless other enterprises within the retail, legal, financial and construction sectors. The adoption of mobile technologies by field service workers continues to accelerate and with it mobile data consumption. According to a report by Ericsson, between Q1 2016 and Q1 2017 data traffic grew by 70% with accelerating, exponential usage expected in coming years. Enterprises large and small are seeing the benefit that mobile workforces can deliver. However, the success of any mobile deployment hinges on its reliability. Intermittent network connectivity or poor application stability can result in an employee being disconnected from the key information they need at critical times or locations. As mobile utilisation grows, the need for solutions that support workers with reliable, secure network connectivity has increased significantly. In a study by Forrester, 80% of organisations identified their mobility strategy as the key enabler for meeting business priorities such as business growth and improved user experience, over the coming years. More than 50% of UK public safety and emergency service organisations depend on NetMotion Software to stay securely connected to mission-critical applications. , This was a key factor in partnering with Bridgeway, who also have strong links with the public sector. The move will mean public sector organisations can partner with a knowledgeable specialist to create a more seamless mobile experience, whilst also increasing operational efficiency. Want more information on how to optimise your mobility field services? Download NetMotion's e-book on Field Service Mobility Best Practices now.